Coalition Chairman says unaware of haredi party opposition to law; elections not on horizon. Coalition Chairman MK David Amsalem referred to disputes surrounding the Nationality Law and says he does not identify objections that could prevent its approval. In conversation with Knesset reporters, Amsalem said "there's no crisis with regard to the Nationality Law. On Wednesday we'll pass the law in the plenum. I don't know about haredi objections and if they have a problem, they should bring it before the committee dealing with the law." Amsalem also referred to work on Draft Law legislation procedures. "This is a good law and we must converge to a point that's good for all of Israel and for the haredim. The haredi public must mature with this law, and that's why it needs time. I don't think a court should intervene in such a law." He added, "I hope in the next seven months we'll pass the law. It's impossible to force a recruitment law, but rather it should be achieved by dialogue. Even if the Supreme Court doesn't accept the request for postponement, no haredim will report to the induction center." 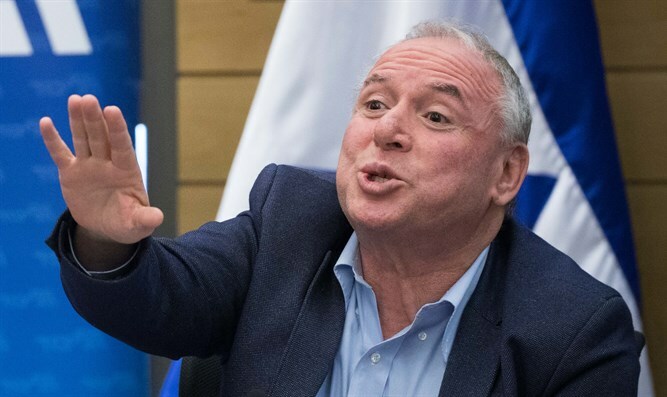 However, the coalition chairman noted that "if the haredim want to leave the government, they'll leave without a draft law." Asked whether early elections were on the agenda, MK Amsalem replied: "We're not standing before elections." Amsalem was asked about surveys published showing Minister Ayelet Shaked heading the Likud. "I appreciate and love Minister Shaked. I don't deal with matters of the Jewish Home and I wouldn't want to cause turbulence there," he replied.